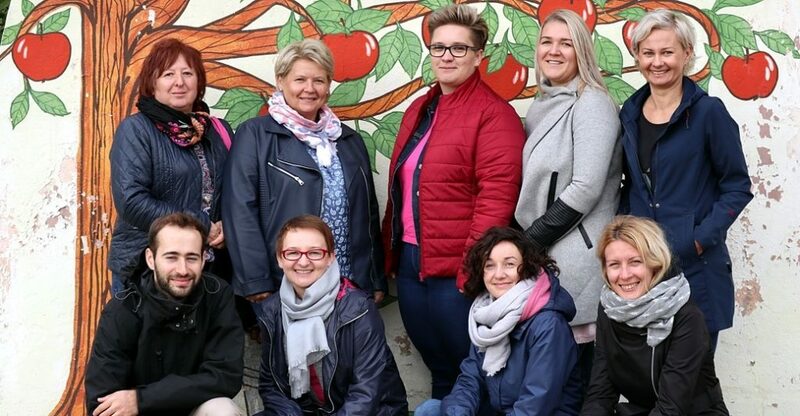 In October, a series of workshops attended by representatives of newly established PAFF local partnerships were held in Bończa, Szadek and Złotoryja. The workshops were on strategic thinking in the partnership project management at the early stage of project implementation. In particular, the workshops were on building sustainable cooperation based on common good and local resources, communication and promotion of activities, as well as continuation of cooperation in the future. The workshops comprised also study tours and presentations of results of initiatives implemented by partnerships participating in earlier rounds of the program, as well as meetings with Animators of the Common Good Lab. 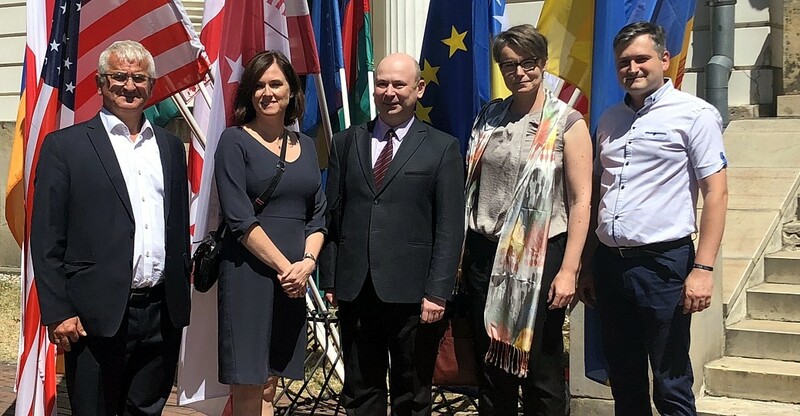 Representatives of Local Partnerships from Lubiewo and Rzeczniów met in Bończa, Warka municipality on October 4. The meeting started with presentation of Warka partnership achievements in implementation of Apple Warka – the “Fruit of Our Passion” project under the 5th round of the program. 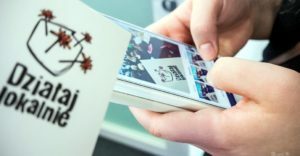 Among other things, the representatives of Initiative Group told about the Contact Box that was put out in the Market Square in Warka, and about the “Apple Trail” that has already become a tourist attraction. They also presented the latest initiatives, such as Valentine’s Day Apple Ball, A Weekend on the Apple Trail, or Breakfast Market. 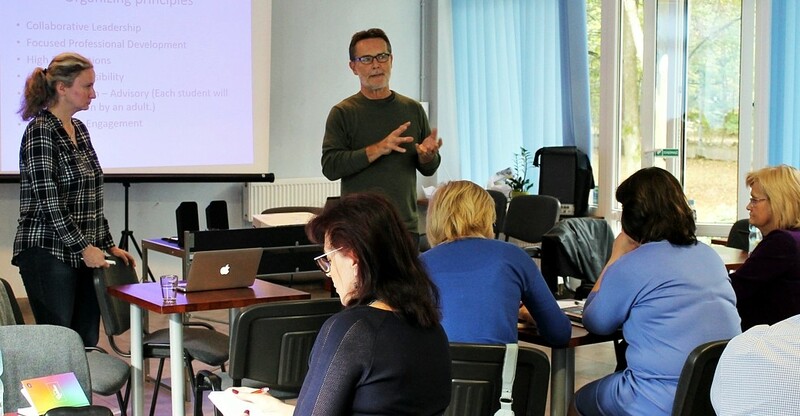 The following workshop session was conducted by Wojciech Zych of Center for Promotion and Support for Agricultural Enterprise in Sandomierz, an Animator of the Common Good Lab. On the basis of Dwikozy Commune in Partnership With Environment project he gave some useful advice on building partnership and cooperation within it. 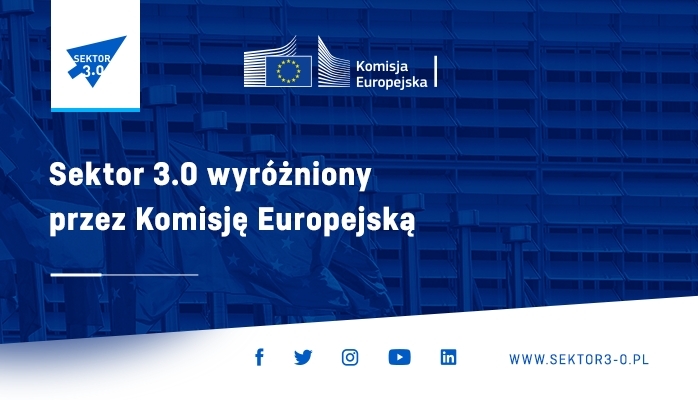 Wojciech Zych persuaded also the participants of his workshop to start thinking about the sustainability and prospects for the future of their partnerships already at that early stage of the project implementation. Finally, Przemek Dziewitek, a partner of the TROP Group, the President of Citizen Lab Association, discussed the role of empathy in teamwork. There was also a discussion on motivating to acting and benefits of cooperation. 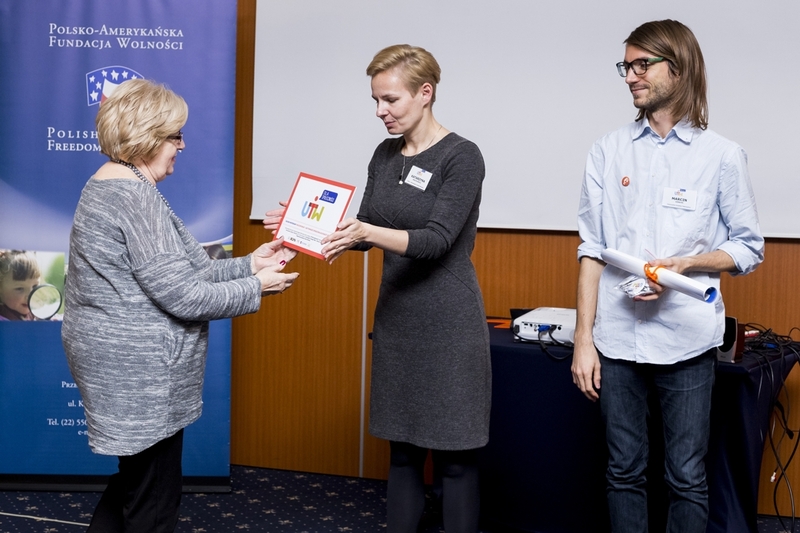 The Initiative Groups implementing projects of start-ups for the benefit of common good in Międzyrzecz, Niepołomice and Olesno municipalities took part in the training session in Szadek on October 8. 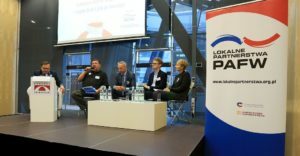 Paweł Łukasiak, the President of the Academy for the Development of Philanthropy in Poland, spoke about financing of the partnership activities and raising funds for development of common good, presenting a broad range of fundraising tools. Daniel Prędkopowicz of Europe and We Association, an Animator of Common Good Lab gave the participants of the training some practical advice regarding building partnership and cooperation within it, pointing especially to those elements that are important for local coalitions endurance. 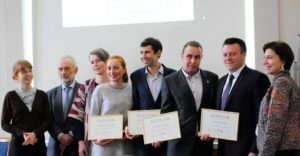 He also shared some of his experiences gained during implementation of “Local TV – Learn Your Neighborhood” project of Grodzisk Mazowiecki and nearby municipalities and communes. Finally, the Partnership of Szadek presented the fruits of “With Traditional Bread Into 21st Century” project. 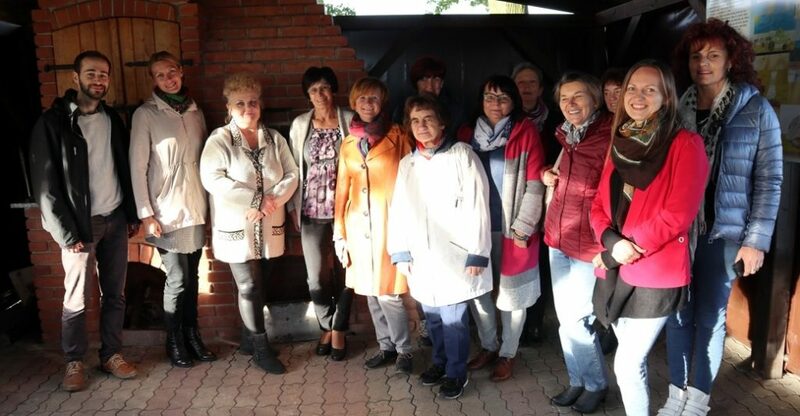 Elżbieta Jarczak, the director of the Municipal and Communal Public Library in Szadek told about building traditional bread ovens in Przatów and Prusinowice, the series of “From Grain to Loaf” educational lectures and cooking workshops. A part of presentation was a visit to the place where the bread ovens had been built where the participants had an opportunity to bake bread. 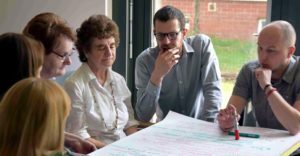 The partnerships from Chrzanów, Krotoszyn and Hażle communes participated in workshops held in Złotoryja on October 23, 2018. The venue of the first part of the training was “Volcano” Social Activity Center, established under the 5th round of “PAFF Local Partnerships” Program. 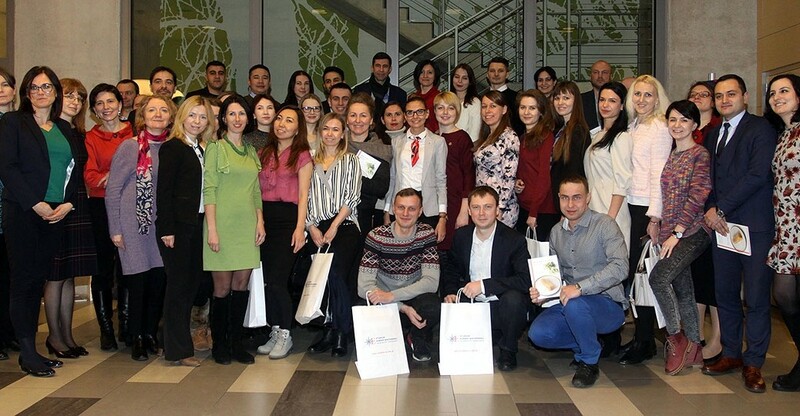 Barbara Zwierzyńska-Doskocz, the President of “Our Rio” Association, shared her experiences gained during the workshops for young people wishing to learn on the wealth of the Land of Extinct Volcanoes. She also told about the premises in an 18th century tenement house which were redecorated and adapted for the needs of the “Volcano” Center thanks to the work of several dozen of young people. There was also a meeting with Senior Club members who use the Center space taking turns with young people. 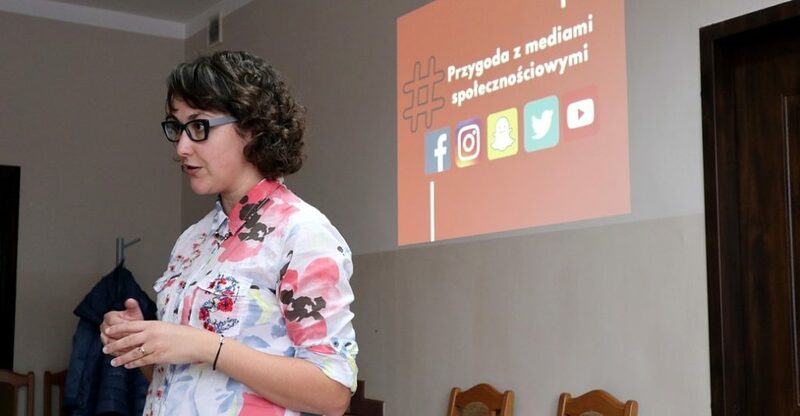 Gabriela Gibas-Psuturi, an Animator of the Common Good Lab, the President of Żywiec Development Foundation, and PAFF Local Partnership established in the first round of the program, shared her experiences in partnership programs implementation. She conducted a workshop on the most important issues of building a partnership and cooperation within it in Żywiec. Next, she encouraged the workshop participants to discuss in groups how the residents engagement can be enhanced, how the project shall be communicated and how to fund the next projects. She also presented the achievements of the “Żywiec Without Carbon Monoxide” partnership and its current projects. 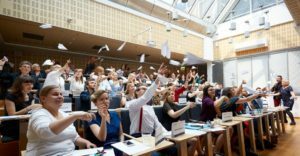 The workshops were crowned with the session on the role of empathy in teamwork conducted by Przemek Dziewitek, a partner of the TROP Group, the President of Citizen Lab Association. A common element of all three workshop trainings was a presentation given by Weronika Chrapońska-Chmielewska, a Communication and Promotion specialist of the Academy for the Development of Philanthropy in Poland, who spoke about basic rules of promotional actions and the latest trends in communication. She also presented the examples of free software that can be applied for informing about the project. 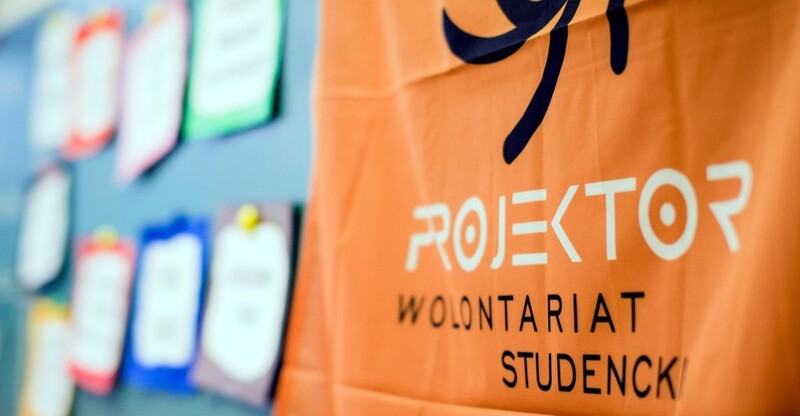 After that, working in small groups, the participants had to define the objectives of the promotional campaign for their projects and their targets. 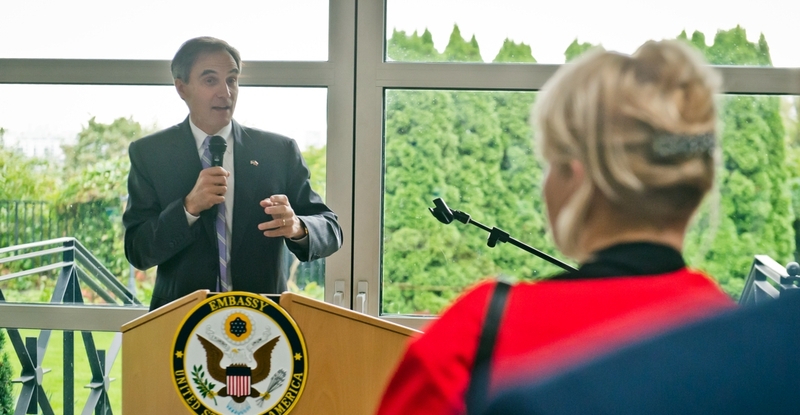 Local workshops are held once a year for participants of the “PAFF Local Partnerships” Program which is aimed at initiating and developing cooperation among various groups taking part in programs of the Polish-American Freedom Foundation in order to make them establish partnerships implementing projects important for local communities. 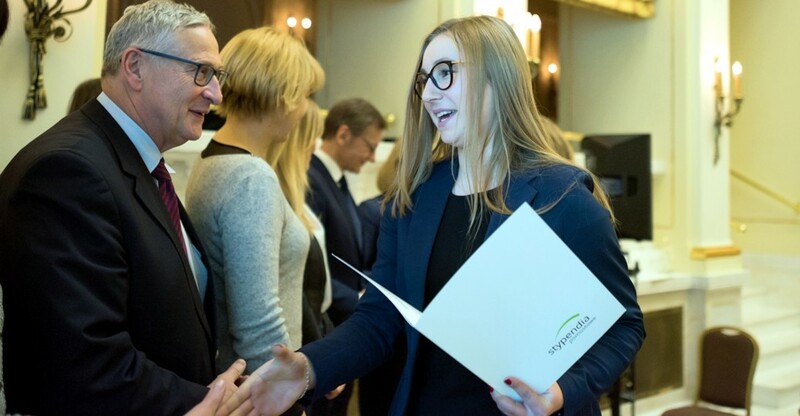 The program is managed by the Academy for the Development of Philanthropy in Poland. For the current, 6th round, 7 partnerships and 3 start-ups acting for the common good have been established at the area of 12 municipalities and communes. Over the 6 rounds of the program, a total of 45 partnerships have been set up on the area of 97 communes, in which over 600 partners have been involved.